At Island Pest Control, we are the number one company to call for bed bug removal if you have an infestation. We have an entomologist on staff, 24/7 to help insure that we deal with problems such as bed bugs in the most professional and efficient ways. We are the bed bug authority…period! 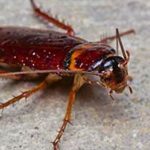 With more and more people visiting our beautiful Hilton Head Island from all over the country, more and more bed bug infestations are being found too! You’ve probably read so much misinformation on the internet that you’re scared to death. You think you have to throw out your mattresses and all of your furniture or cover everything with chemicals in hopes of getting rid of bed bugs. Well you don’t! Before you move anything or try spraying anything, read this. It’s the FACTS and MYTHS in Island Pest Control’s “battle against the bed bug”. Myth: Bed Bugs Only Live In Mattresses. Fact: Although they are called bed bugs, they are found in virtually every place people congregate. Hospitals, schools, hotels, retail stores, movies theaters, public transportation, and of course homes . Down to the nooks and crannies of rooms, such as electrical outlets, behind wallpaper, in wall voids, picture frames and of course beds. We even find the females will hide in the top corner wall of a rooms to get away from the males. Myth: Bed Bugs can’t be seen with the naked eye. 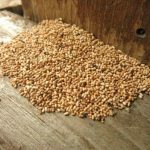 Fact: Adult bed bugs are the size of an apple seed, young bed bugs (nymphs) are the size of a poppy seed and bed bug eggs look like a tiny grain of rice. See our bed bug diagram to see all sizes. Myth: Bed Bugs only live in dirty, cluttered homes. Fact: Bed Bugs will live anywhere you do. We find them in hotels, rental homes, million dollars homes, mobile homes and all homes in between. A dirty house will not cause bed bugs but minimizing clutter will reduce their hiding places. Myths: I can complete bed bug removal with insecticides or pesticide chemicals. Fact: Bed bugs are resistant to over-the-counter chemicals and professionally used chemicals. 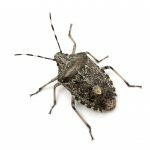 According to National Geographics, University of California: Berkley, and Hilton Head Island’s local bed bug expert and Island Pest Control president John Kaiser, using pesticides and insecticides can cause bed bugs to spread to other areas inside your home or building. Myth: There is no real way to kill all the bed bugs in my home or business. Fact: Bed bugs and their eggs will die when exposed to a constant temperature of 113 degrees for at least 90 minutes, thus making bed bug removal possible. Myth: I’ll know if I have bed bugs because of the welts their bite makes. Fact: While some people do become sensitized to bed bug bites and get itchy welts; some people do not. While the emotional stress bed bugs can cause can be overwhelming, a well trained and knowledgeable pest control company can quickly kill all life stages and complete bed bug removal in as little as one day. Island Pest Control offers Bed Bug Removal Heat Treatments for Hilton Head Island, Bluffton and Beaufort homeowners and property managers. We can have you bed bug free after 1 treatment. Call our office today at 843-681-5188 if you suspect bed bugs in your home. We will be happy to answer any question you have or set up an inspection to identify them . With over 1,000 homes treated and a 100% success rate, we are Hilton Head Island’s bed bug experts! And we back our treatments with a 6 months 100% Retreat FREE Guarantee. To learn more about our Bed Bug Heat Treatments for Hilton Head Island, Bluffton and Beaufort.